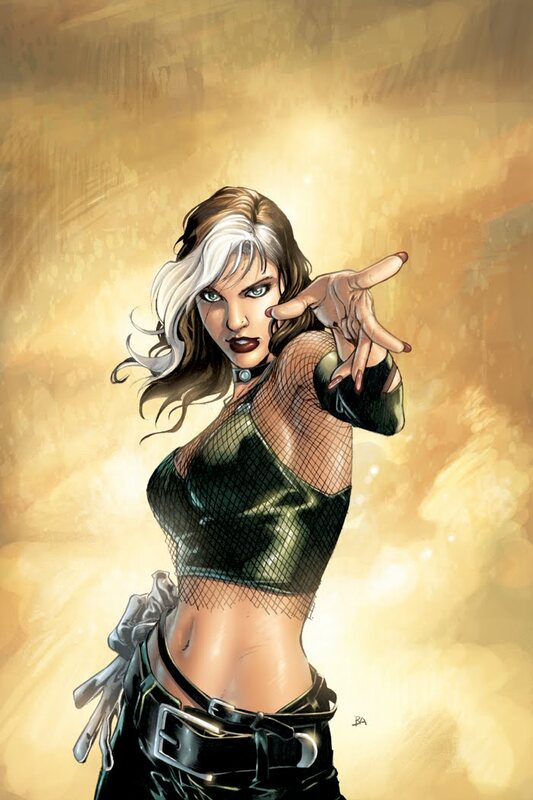 No X-Man (or woman) it seams holds more of a place in the hearts of fans than the sultry southern belle, Rogue. A natural hit with drawing characters who pack a hell of a punch, Carlo Pagulayan has posted two Rogue covers, made for a 2005 solo series, before Marvel put the series on hold and created "other plans for the character". coming not long after the first issue got under way, colours to the debut issues cover (left) were done by Brad Anderson, while Carlo himself coloured his own pencils for cover number 2 (top). Amazing stuff - especially as it was only his second attempt at digital colouring! To see more of Carlo's great behind the scenes art, including; Son of Hulk sketches, Hulk pencil pages and Spider-Man, Iron Man and Hulk rendered in 3D click the jump. wow, thanks for that first thing in the morning. Man I love this site. Glad you like what's floating round this site Craig! Even I get surprised now and then when I go back through the archives at what I have covered. And I mean who doesn't like Rouge?! I think that "You might also like" feature is my favorite. I added it to our site too, but the Blogger widgets and tools seem to have some better features than the WP ones. Yeah I still haven't figured out how that thing links sometimes. It seems to ignore the posts posted from the old url, and can sometimes pull together really bizarre associations, but it always manages to remind me - oh yeah I have done a post about that!